Georgetown Cupcake FREE cake o da day!!!! Today's secret FREE flavor: PEANUT BUTTER FUDGE!! No purchase necessary, just order it by name and it's FREE! Enjoy! Kyla has a field trip this morning and wanted her flip flops which we forgot in the rush of returning to "form" in the adventure of us. President Obama cited an author yesterday who said that being a father means you made a choice to live life with your heart outside your body. Ps - don't leave georgetown cupcakes in your car or garage overnight if you plan on giving 'em to the teachers. The icing melts. ... but it gets easier. Kyla and I tried something new tonight. Get home, get into comfy clothes, get dinner, get into bed, have some solo chill time, then, story and lights out. I pushed the lights out to almost 9 for her tonight. Some would say I should have been firm on 8:30. But, she was asleep by 9:15 to 9:30 give or take a few minutes. A world record for her when she's with me. It wasn't easy, that's for sure. I guess at times I can be lenient on things. The good thing for me - and I don't know if this is good or if it's just me saying "thank God I'm not going through this alone" - is that DM at the office is going through the same sort of thing. I have found more and more I've bounced frustrations and ideas, concerns and, well, yeah, bullsh*t, off of him. He's another Padre ridin' solo - and he's got a bit more experience than me on this sort of thing. He walked in this morning and was like "how was your morning??!" I sorta just laughed... It's not easy to shift back into "daddy mode..."
But it's worth it, once you get used to it. And, tomorrow, we get to do it all over again! ... Of Kyla. She's been back just over 24 hours and made friends with the Brazillian neighbors. I think he's a diplomat... But they all told her "ciao!!!" When we left... So I think she's doing ok!!! And she made new friends too! ** above pic used w/ permission and courtesy of the Washington Nationals and MLB. 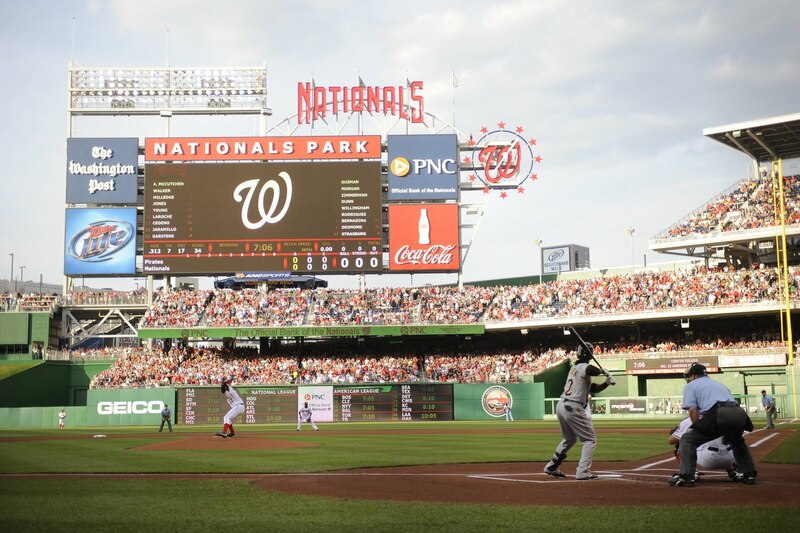 This... is the precise moment of Strasburg's first pitch. All rights reserved by the Nats, MLB and their authorized entities. Read this... all ye NATS fans!!! The Strasburg Era has begun!!!! I was looking for, honestly, some Starbucks whole bean coffee. The Sumatran blend to be exact, as that's what my friend who happens to be a girl named HRS enjoys. I was wearing a Nationals hat, probably a jersey and some UA pants - my typical "roll out of bed" uniform. 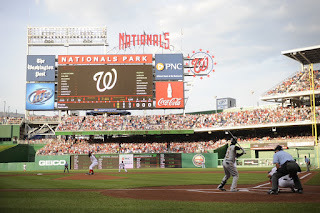 "Those Nats look pretty good this year," he said, to which I replied that I hoped the "Expos don't show up at some point..." which is my typical line when the Nats meet some sort of 'doom' during the season. We then conversed about baseball, life, and then, coffee. "You're here for some whole beans," the man said. "Yes," I replied as I went about searching the Starbucks beans for the Sumatran bold that I was sent to get. "Let me tell you, have you tried Peets?" he asked? "No," I replied... because, honestly, I hadn't. This local retailer began to school me on this Peet's coffee. The beans and shop which inspired the creation of Starbucks. The beans which were so well done - yet nobody knew of them. The company which was so good to this man that it was "a pleasure to work for them..." on top of a commitment to providing the most fresh beans to the world within 24 hours of roasting. Then I realized this man had some passion not because of a job, but because this job had become his passion. He handed me some $2.00 off coupons, bringing an affordable coffee priced at about $8 bucks a pound down to $6 a pound... and then, add in the Safeway $2.00 discount, I was paying 1/2 the price of Starbucks for a coffee that had some promise but that I hadn't tasted to that point. I came home and showed the beans to HRS, who, unbeknownst to me, had toured one of the Peet's provider plantations on one of her many trips out of the country to discover the world. I believe she went to one in Costa Rica. Anyway, she knew of Peets' instantly. And, at the same time, she knew the beans were amazing. This before we brewed a pot of coffee in the French Press. Eventually, we did brew the coffee. It was amazing. 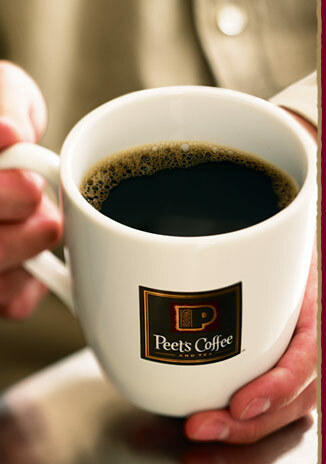 Peets made me a fan and then, I researched this brand. They were the inspiration for Starbucks. They're soley focused on coffee and teas. Their roasters are in house and have been part of the success since the beginning. They give back, and encourage and reward sustainability. They're committed to their customers. They're doing pretty much everything right. And, oh yeah, they make a pretty amazing cup of coffee. The West Coast is pretty familiar with Peets. Specifically the San Francisco area. But let me tell you, if anyone - namely Starbucks - allows Peets to grab hold of a national picture, it will be over for the chain in about 10 minutes. Peets schools Starbucks because Peets was the influence for the beginning of Starbucks. This makes Peets Starbucks v. 1.0. And as we all know, the beta is the best. If you have Peets in your grocery store, get some. If you don't - order some. It's that good. In fact, it puts Starbucks to shame. Peets, btw, is way past Dunkin, I might add. If you're in radio, a PD, or a jock, or a GSM or GM or SVP, or even an EVP, you must read this book. It's amazing. I've been lucky enough to have some awards for writing on my wall in case this radio thing doesn't work out and hopefully maybe one day they'll help me to continue to pivot and evolve my career. 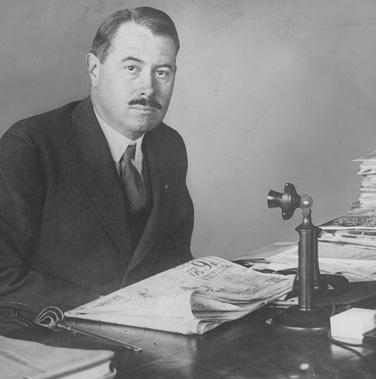 So, one of the biggest names in publishing and from the era of print journalism is this dude Col. Robert McCormick. He's from Chicago and had a command of the Chicago "way" I'm told. That's why I think he's very proud of what I read about here. Here's Marc Chase (above right) giving poor Pig Vomit (above left), the former PD made famous by Howard Stern for trying to rein him in at WENNNNNBEEECEEE back in the day, some money. This benefactor, Mr. Chase, seems to know that Pig Vomit must be getting rolled in some poker by some of these other cohorts, and as is his way, he's lending him thousands of dollars so that he might live on to play for another day. The secret of any organization - what makes it 'sacred' or 'holy' - is it's people. Past and present. And, maintaining the morale of those people is as 'religious' of an experience as I can think of for any organization. And so, this morale revival is a good thing and I think the Colonial would be proud. But then, again, I've been drinking. And it's 10am. Thanks for reading. Good morning! ... and he let me know he's coming to DC to speak at the Smithsonian as part of a very exclusive Smithsonian Associate's evening with the brains and science behind the show next week. Now, this is exciting to me because if you've known me, you know that the science behind L2M is ridiculous. The idea that there are microexpressions, which are primal, which can't be stopped from happening, can help you to detect lies in... well... anyone... is just astounding to me. When FOX had me out for a previous junket, right before the launch of L2M, they put us through this amazing course on lie detection based on microexpression detection and they educated us on the basics of how to tell when virtually anyone is using some sort of deception based on what we saw from facial expressions. I left LA and came back to DC and finally... in a rudimentary way... the playing field was beyond level. In so many ways, it was tilted in my favor because finally, I could have conversations and see right through the impersonal, the dishonest, the fake and the like. Talk about an advantage. I returned way past having a home court advantage as, honestly, there wasn't much that could be hidden when it came to what people were thinking. And while I didn't have to know specifics, knowing that I knew 'enough' when it came to certain things was just... astounding. Anyway, the event is totally sold out, and when Brendan, who plays Eli on the show, revealed to me that he would be in DC for this, I about geeked out at the broadcast table. And, when I went back to the room, I started to reach out to all of my contacts at FOX in the publicity department, because, honestly, this science is some amazing stuff. So today, the FOX people let me know that in addition to Brendan, and Dr. Paul Ekman, who is the doctor behind the science to the show, L2M's creator, Sam Baum and others will be in attendance as well. I can only imagine that the most senior people from the CIA, the FBI, the Secret Service and more will be on hand with the usual delegation of Smithsonian contributors, as well. And, God willing, I'll be there. Because let me tell you something... learning what I learned from Dr. Ekman has changed everything. You get an unreal advantage from understanding the science which leads to the detection of deception. When I interview artists and others, their microexpressions and gestural seepage let me know exactly where I stand, and where I can go when it comes to our conversations. It also gives me some amazing insights as to how to deal with co-workers - as well as with people in life that I encounter. In other words... it's some pretty amazing stuff. If you've not watched L2M on Fox, the premiere is coming soon. Check your local listings or check back here for more and I'll tell you when you need to set your DVR's. If you're not a fan, you should be. It's a show that is so smart because it's based on some real science which takes the so-called "ultimate weapon" we as people think we have... and exposes it with scientific truth which renders it useless. Thanks for reading... and watching!